Me: “Well, I was thinking more along the lines of eating, but I’ll take editing, too. I’m multitasking. All while being SUPER efficient because I’m eating leftovers…therefore, no food is going to waste. Me: “OH, OH! AND here’s the best part, (I ignore the prior sarcasm) while I’m eating, editing, and being SUPER efficient, I’m also growing a tiny human! And that quite possibly makes me the most productive person you will encounter today! Whew! I survived last week. I was creative. I baked. I shopped. I worked. I counted. I did no cleaning. I snapped pictures. I took deep, cleansing breaths. I did not maintain my sanity. And now I’m back, mostly recovered with only a small amount of wailing and gnashing of teeth. I don’t think I could have chosen a more inconvenient time to be 8 months pregnant. It’s really cramping my style. Usually, I thrive on the crazy and mostly enjoy it. I’m a high-energy person. I like to be involved. However, some alien form of Breauna resides as the dominant personality in my body right now. She’s not as much fun…maybe because she has to heft a bowling ball around 24/7 amidst all the other fun things that come with the third trimester. 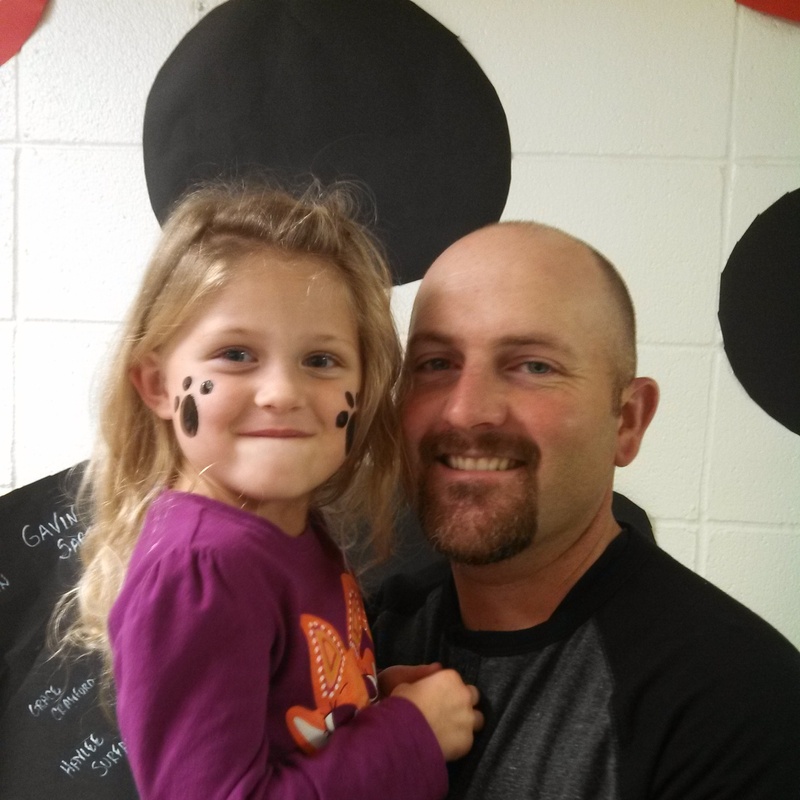 Anyway, last week was Spirit Week at Taegan’s school followed by their Fall Festival Friday night. I’m a PTO officer this year, so naturally, this was going to be a VERY busy week. First, let’s talk about Spirit Week. Every day was themed. I didn’t get a picture of Taegan that morning because Monday was the only day I was going to get to work. Picture time didn’t happen because Mommy was too busy trying get herself ready. (And if you knew the hoops I have to jump through to get a picture of this kid, you would know ain’t nobody got time for that). Taegan wanted to wear her red and green plaid Hello Kitty long, flannel nightgown. I got it for her last Christmas and, granted, it is adorable, but it screams “Merry Christmas!” I tried to talk her out of it, but she insisted. Nothing else would do but Christmas Hello Kitty. So, in the pouring down rain, I walked my galoshes-clad 4-year-old into the school looking like Christmas morning. Figuring out the storybook character for Taegan to be wasn’t hard. In fact, it only seemed natural for our tutu-wearing tomboy with crazy curls and she just so happens to be the main character in some of our favorite books. None other than Fancy Nancy! 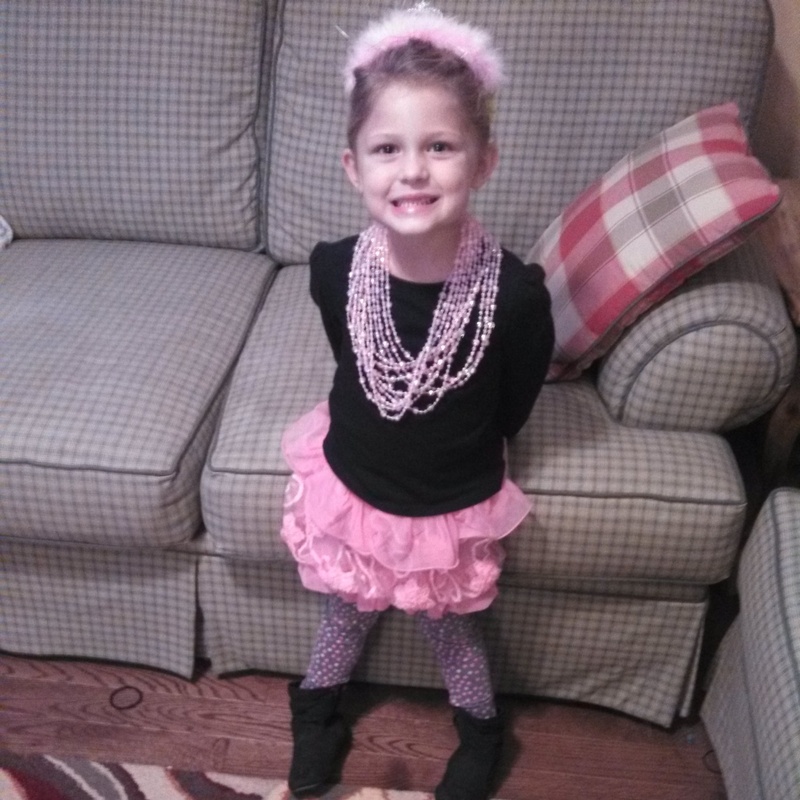 I bought Taegan a tiara with feathers on it and lots of pink beaded necklaces. We had the rest covered. 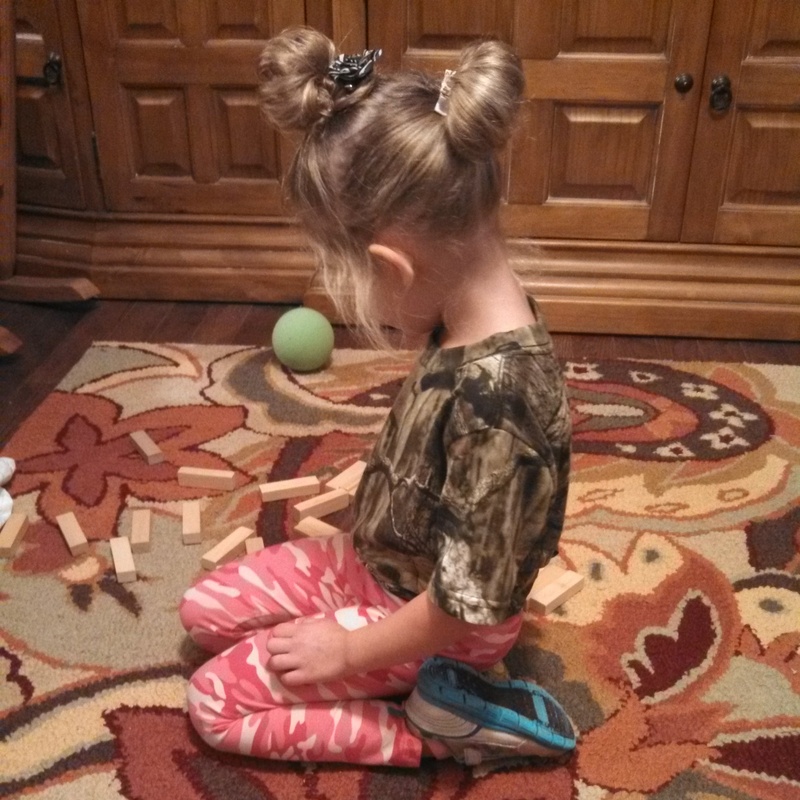 You can’t see from this picture, but I pinned her mess of curls into a…mess of curls and stuck a few hair bows amidst it all. Ooo-la-la! She was darling. (That’s fancy for sweet). 😉 I tried to encourage her to say “Merci” any time there was an opportunity, but she drew the line at that. I love children’s books and I’ve read Wacky Wednesday many a time. I had this. I really knew I had it when I saw the look on the farmer’s face at the outfit I was carrying around… that look of “Are you serious?” You betcha! I was on the brink of genius! Don’t question it! See, look, even the picture’s all wacky because she’s nut that won’t stand still. But, I crossed right over that brink with her hair. Vertical pigtails!! She looked in the mirror and laughed at her whole ensemble. I take pride in it. If one can pat themselves on the back for wackiness, I did it on Wednesday. There was a home game that evening and it was “Pack the Gym Night.” So, the kids were to wear their school t-shirts or red. Well, low and behold, my child owns not one dress, shirt, pair of pants, or sock that is red. Nor does she own anything with a tiger on it (the school mascot). So, I believe we went to school that day wearing a purple shirt with a fox on it. We went to the game that night and she got her face-painted with tiger paws. We ended the night with spirit. I wanted to superhero day right, but my daughter isn’t in to superheroes, so I wanted to come up with something about her that was something special. I thought, What does Taegan like to do? Be outside or bee bopping around the farm with Daddy. What is Taegan’s 4-year-old passion? This farm, the country, dirt, and cows. It’s her life. Then, it hit me. Taegan’s super power needed to be something to do with our dairy. And then the slogan came to me. 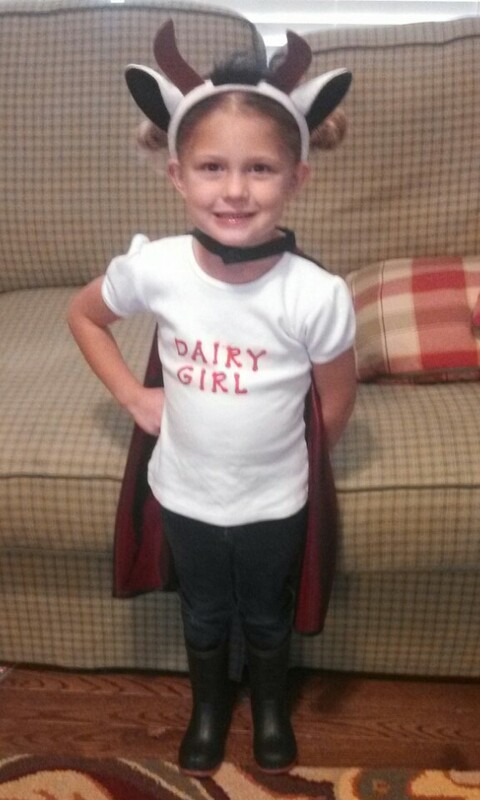 Complete with cow ears, a cape, and the dairy farming staple: black rubber boots. I’ll never top that because it truly is who she is. 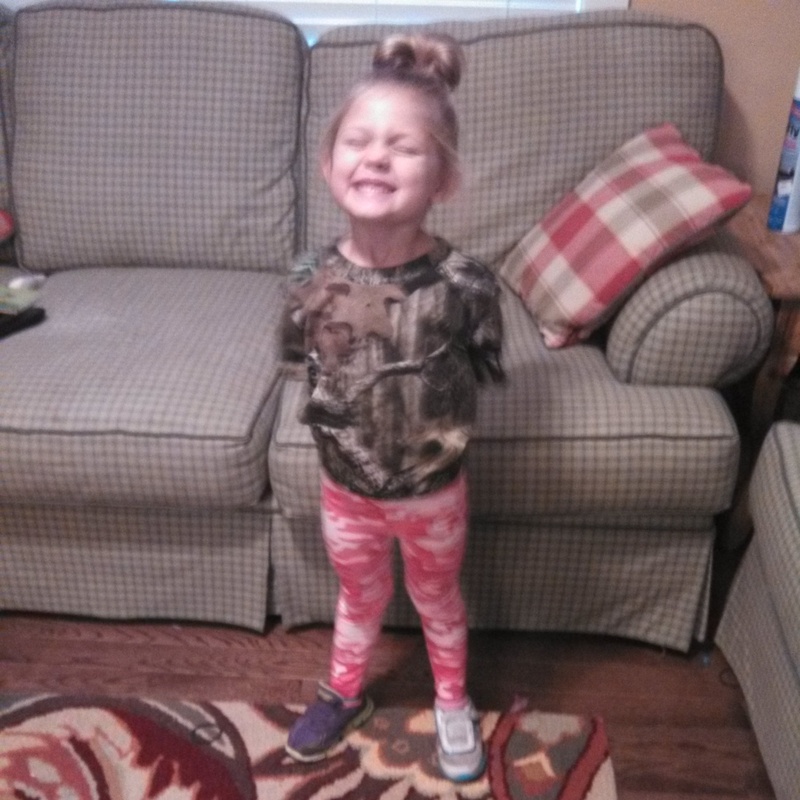 Farmers are definitely superheroes and she was so proud to wear it. As you can tell, Mommy had just as much fun (if not more) with Spirit Week as Taegan did.